Individual lessons for this year begin September 4th, 2018 and end June 14th, 2019. Each student will be assigned a weekly individual lesson time before the start of the Fall Semester, upon registration. Summer session is July 8 - August 30th, 2019. Tuition covers not only the actual lesson time spent with the student, but time preparing for each student as well. This includes individualized plans for each student, development of teaching materials, recital preparation and repertoire planning. Tuition is paid by the semester. You may pay by cash or check. There are no refunds or credits given for any reason. There is a $25 late fee for payments received 5 or more days late. New students may begin lessons at any time during the year. Tuition is pro-rated. There is a $25 registration fee for all new students to reserve a lesson slot. Please contact me via email if the student has to miss a lesson. Due to full studio capacity, there will be no make-ups for missed lessons. A swap list is available to help with missed lessons (see Swap List below). If I must cancel a lesson, I will give a make-up sometime during the year (either before or during the make-up days). In the case of inclement weather, lessons will still be held. Please use your own discretion whether travelling to lessons will be safe. If you decide to miss lessons due to inclement weather, please let me know as early as possible. Missed lessons due to inclement weather will not be made up. There are no refunds or credits given for any reason. Only swap lesson with another student with lesson of the same length. The parent and or student who arranges the swap must email me with the details of the swap and cc the person with whom they are making the swap. Should 2 students arrive at once, the student whose lesson is regularly scheduled during that time slot will get first priority. Summer lessons are highly recommended for all students to ensure retention of knowledge and a smoother transition back to the Fall Semester. A minimum of four lessons is required in the summer in order to re-enroll for the Fall Semester. At the end of the 2018/2019 Academic Year, parents are asked to provide each student’s summer schedule (vacation, time away, etc). The student’s schedule will then be matched with the teacher’s summer schedule to determine a mutually agreeable lesson date/time for designated weeks during the summer session. Summer lessons must be paid in full by the first lesson of the summer session. There will be no make-ups for missed lessons. There will be two recitals this year: This is a great opportunity for students to share what they have accomplished! Please go ahead and mark these two dates on your calendar! Michelle Huang has been an active piano teacher and performer for many years. She received her Bachelor of Music from the University of North Carolina at Chapel Hill, Master of Music from the University of Tennessee in Knoxville, and Doctor of Music in Piano Performance from Florida State University. She has taught both in the collegiate and private lesson settings and is experienced in working with students of all ages and levels. She is an active member of the Richmond Music Teacher Association and is a frequent solo and collaborative pianist with both Richmond musicians and artists throughout the US and abroad. The studio accepts beginning, intermediate, and advanced students of ages 5 and up. 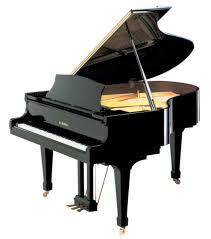 The piano studio is located in the Museum District/Fan area. Lessons are tailored to each student's level, interest, and learning style. 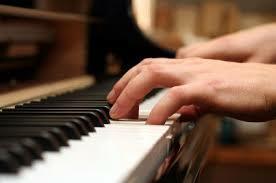 Students will learn piano with a focus on note reading, technique, theory, ear training, repertoire, and performance.